New Delhi : The union finance minister Arun Jaitley, on Thursday, have tacked on Delhi Chief Minister and Aam Aadmi Party (AAP) supremo Arvind Kejriwal. He also criticized AAP for lowering the level of political discourse. Jaitley said that Kejriwal has dropped to the level of politics. Such language does not suit to the Chief Minister. The people who have important positions, should learn restraint in language. In a post on Facebook, Jaitley said with the title 'Lie in the name of freedom of expression', "Delhi Chief Minister Arvind Kejriwal used frenzied offensive language. It seems that, he believes in the Lying and humiliating. Jaitley's criticism came in the backdrop of relentless attacks on him by Kejriwal and AAP workers targeting him for alleged financial irregularities at the Delhi and District Cricket Association (DDCA). AAP's attacks began after a CBI raid on the Delhi Secretariat last week. Jaitley referred specifically to a tweet by Kejriwal as the CBI raid was in progress. In that tweet, the Delhi Chief Minister called Prime Minister Narendra Modi "a coward and a psychopath". "What about the statements made by the Hon'ble Chief Minister of Delhi about the Prime Minister and others, both inside and outside Delhi Assembly? If any functionary of the Government of India were to use such language, it would witness a nationwide outrage." 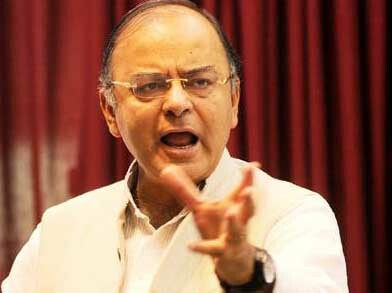 Political discourse, Jaitley wrote, cannot be couched in vulgar language. "Falsehood delivered with vulgar overtones is not a substitute for truth. Lumpenisation of public discourse can never be high point of politics," he wrote. Notably, AAP and MP Kirti Azad attributed to Finance Minister Arun Jaitley for irregularities in DDCA. During it Kejriwal also used Abrad language for PM. While, Kirti Azad was attacked on Jaitley in press conference and then in the House.